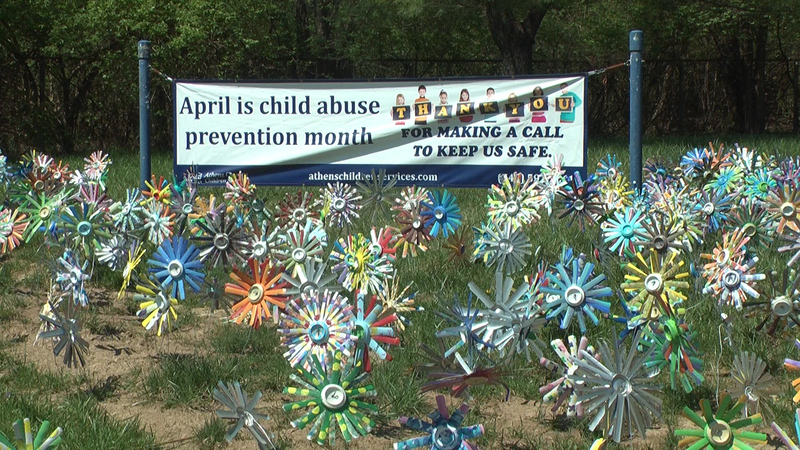 April is Child Abuse Prevention Month – a time to honor those who keep children safe and families strong. Athens Children Protection Services spokesperson Robin Webb said child abuse should never be taken lightly. It is a heavy subject for many in Athens County. In 2018 alone 1,870 reports of suspected child abuse or neglect came to the desks of employees of Athens County Children Services. For over 30 years the agency has been combatting the sad image that too often accompanies child abuse by showing local children how important they are. This is the 32nd annual Kidfest, the marquee event of the entire month. The event, hosted at Ohio University’s Walter Fieldhouse, is a child’s dream come true. “We have games and activities, we have Rockin’ Reggie the DJ come, we have over 40 local agencies set up games and activities for kids,” Webb said. In the midst of all the fun, games and music there is something more serious, more helpful for the community and those who have witnessed abuse and neglect. “We also have information and opportunities to connect and share resources for their parents, and so it’s just a day for our community to make happy memories together,” Webb said. With sponsors such as KonaIce and Aquafina, Kidfest combines the fun and freedom of being a kid with the support and awareness about child abuse and neglect. Kidfest is still only one small part of a greater nationwide effort to spread awareness about this issue plaguing so many around the country. Athens Children Protection Services Executive Director Catherine Hill said it truly does take a community to remind everyone, even yourself that “every child has a birthright to grow up free from abuse and neglect in a loving and nurturing home.